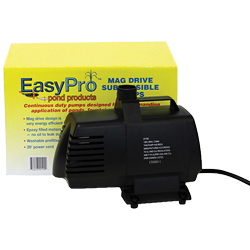 EasyPro Submersible Mag Drive pumps stand out from the crowd in features, benefits and durability. With ten models ranging from 45 gph to the industries largest, 9700 gph, For low head applications Mag Drive pumps are unbeatable and with few moving parts, their reliability is unsurpassed. Mag drive motors " quiet and very energy efficient! Epoxy filled motors " no oil! 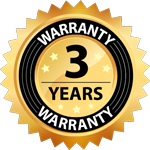 EasyPro Mag Drive pumps are built durable, over 98% of these are still running after three years!